Wholesale. Multiples of 10 Boats. When ordering select - quantity 1 for 10 boats, quantity 2 for 20 boats etc. Includes Fuel Tray, Candles, Priming Dropper and full Instructions with every boat. Sorry, we cannot supply specific colours. 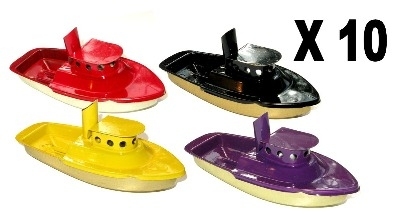 Please Note - these boats are not a toy. 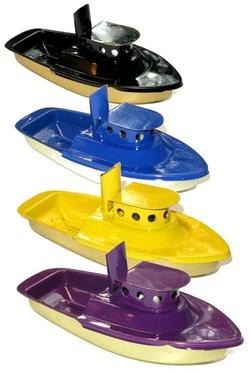 They are a replica Model Steam Boat and should be demonstrated exclusively by ADULTS. It may have sharp edges and it will get hot when in use. They do not carry CE certification and are not designed to comply with Toy Safety Legislation. Please note - when ordering or viewing the wholesale section, please use your browsers back button to return to the previous page or you will need to log in to the wholesale section again. Or use the link placed on the top right of every page.